For 28 years, Texcell provides comprehensive, standard protocols for evaluating your cell banks, raw materials and cell derivatives such as monoclonal antibodies, recombinant proteins, vaccines and gene therapy products. To ensure the safety of your biotherapeutic product, Texcell offers a vast array of services and tests. Every study is designed in accordance with the EU or US Pharmacopoeia and EMEA or FDA guidelines. All studies are performed in accordance to GLP-guidelines, or detailed SOPs can be provided for GMP-standard assays for batch release testing. Our catalogue contains more than 200 technical procedures to ensure that all viral contaminants are removed from your biotherapeutic. Texcell’s teams assist you from the R&D until the marketing authorization. Monoclonal antibodies for human use. 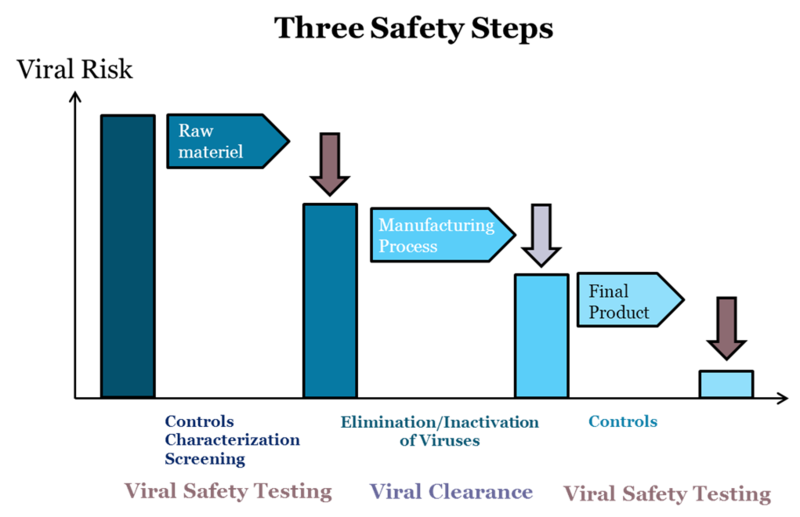 Products derived from mammalian cell lines, monoclonal antibodies and cell lines themself must be tested in order to ensure the quality and the safety of the product. Texcell provides GLP services from the R&D until the investigational marketing authorization to assist the biotechnological and pharmaceutical companies. Cell therapy product involves the fact to inject living cells in a patient. International regulatory bodies mention in guidelines the different points to consider. Biotechnology products derived from cell lines of human and animal origin. The cell based products are viable human cells. Those cells can be allogeneic or autologous and may be combined with non-cellular components and be genetically modified. That is why, Texcell offers specific services for each studies. Characterisation of cell substrate used for production of biotechnological and biological products. Depending of the “vector”, Texcell will offer you a wide range of protocols to ensure the safety of your product. Regulatory guidelines give the point to consider. By knowing those guidelines, Texcell will help you to ensure the safety of your vaccines. Texcell also provides services for blood derivated products and medical devices.